Let me tell you, there is no better way to spend a rainy afternoon in Vancouver than visiting the Willow Stream Spa. 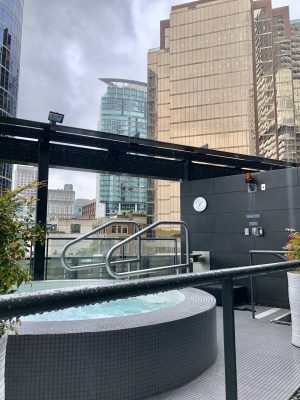 Located on a rooftop terrace of the Fairmont Pacific Rim, it is the perfect place to beat those rainy day blues and recharge your batteries while you’re at it. I mean, who doesn’t love a day of pampering at the spa? My pooch dilemma did not stop me from visiting my usual Vancouver spot. 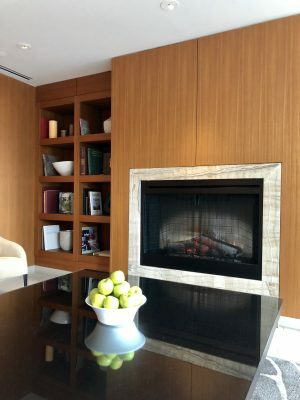 I still made sure to plan a visit to the Fairmont Pacific Rim and book a day of relaxation and indulgence at their Willow Stream Spa. To say I enjoy a day at the spa would be an understatement. I live for spa days and for me a vacation isn’t complete without at least a day spent at the spa. 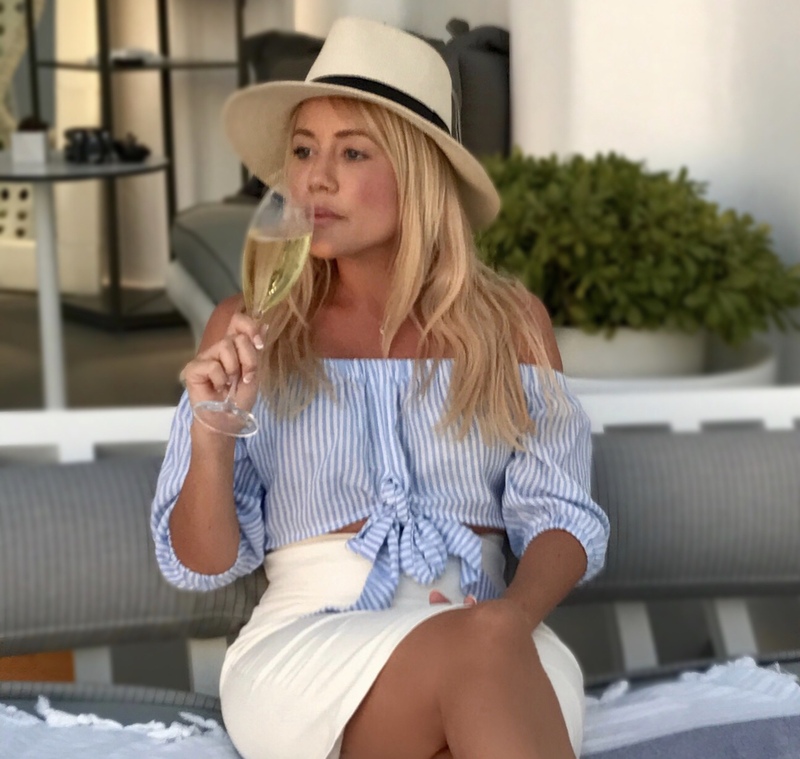 Having had different treatments and experiences from around the world, I would consider myself somewhat of a spa connoisseur. The Willow Steam spa’s within the Fairmont properties worldwide offer a unique spa experience in each destination they have a presence. Each of their spas reflects the surroundings of the destination and their treatments are custom to the destination you are in. With Vancouver being a destination with mountains and nature, the Willow Stream spa emanates just that. The treatments offered are reflective of the surrounding environment and the products used are inspired by local plants and herbs. 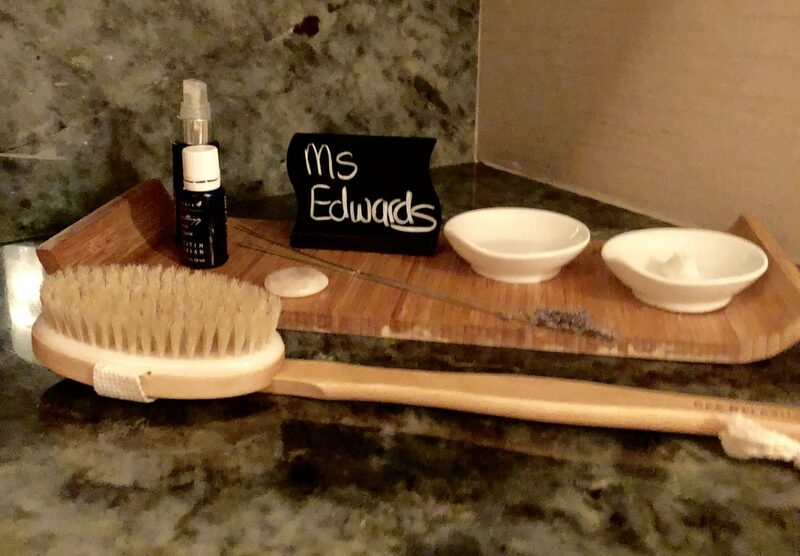 While there were many incredible options to choose from such as the Coastal Mountain Retreat and the Van Active, I opted for the Neroli Blossom Renewal for tranquility and restore. We arrived at the Willow Stream spa mid-morning for my treatment booked for early afternoon. It had been pouring cats and dogs all day long and it was nice to find a retreat in the city. We were greeted with warm tea as we arrived and changed quickly into our bathing suit and robes. My husband and I met in the couples lounge to enjoy a light snack and pre-order our bento box lunch before heading into the outdoor pools. Although it was raining, we still decided to make use of the lovely terrace. 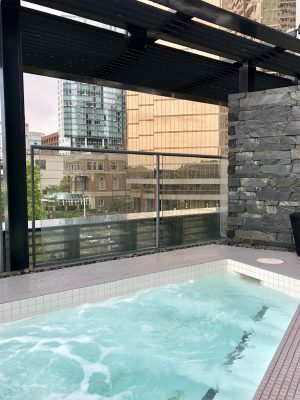 The terrace has two hot tubs and a large open space for lounging. Being on the rooftop of the 5th floor, you get views of the downtown cityscape paired with the beautiful view of the Pacific Ocean and the mountainous backdrop. After a few days of hiking, it was wonderful to soak in their hot outdoor tubs. After a few hours of relaxing, it was time for my treatment. I choose the 60-minute Neroli Blossom Renewal which is intended to awaken the senses and calm the spirit. When browsing treatments, it sounded like it was just what I needed to revitalized my body and mind. The massage began with a dry brush treatment across my entire body. The dry brush is intended to exfoliate dead skin cells while increasing lymphatic circulation across the body. It is said to help with cell renewal resulting in a brighter and smoother skin surface. Following the scrub, my body was massaged with a lovely neroli blossom oil. The neroli oil was lightly fragrant and energizing to the senses. My body felt immediately invigorated as the oil sunk into my skin. I found it especially beneficial for my skin following the dry brushing as it sucked up all the moisture from the natural oil. In a deep mindful meditation, I nearly feel asleep being so relaxed by the treatment. The treatment ended with a warm foot cleanse with the essence of eucalyptus. It was a nice touch to finish a perfect treatment. Following the treatment, I met my husband back in the couples lounge to enjoy our lunch. The lunch menu has a selection of five hearty bento-style boxes, each delicious selection of food. Aptly named for my feeling at the time, I choose the Gratitude bento-box. My bento-box came with a crab Nicoise salad, 14-hour braised Angus beef, sauteed prawns, vegetables and lastly a fruit tart with berries. 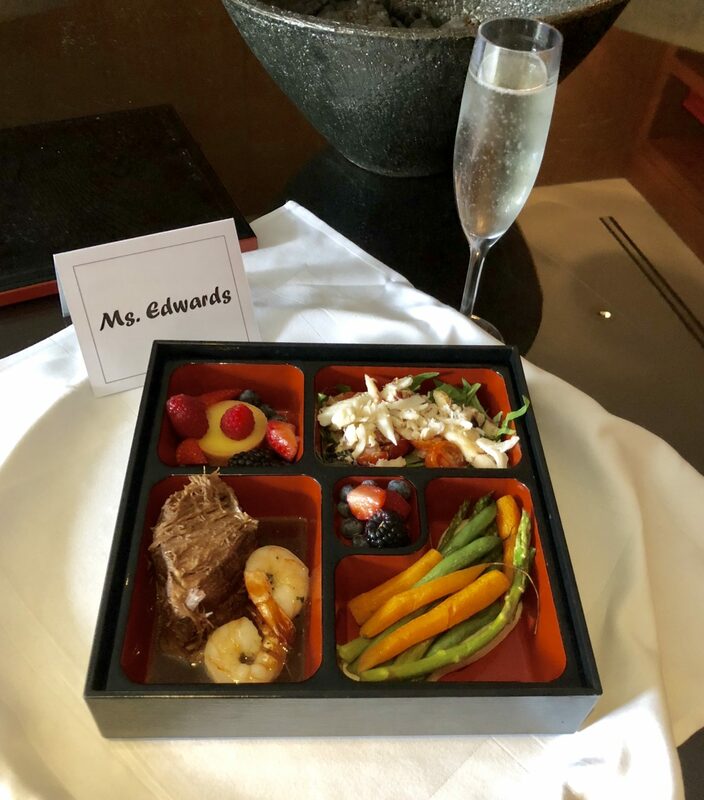 As we had pre-ordered our boxes when we arrived, our meals were out and ready to eat as soon as we got back to the lounge. We were pleasantly surprised by the large portions and being famished, we immediately dug in. If you order a bento-box, make sure you come hungry! These boxes are incredibly delicious and very filling. After indulging in our delicious lunch, it was time to shower up and finish the day. We each head back to our changing rooms and enjoyed the last hour in their steam room and sauna and hydrotherapy experience shower. The hydrotherapy shower has got to be my favorite water treatment. With 20 different shower heads pointing in all directions, you get the ultimate shower experience to finish your perfect spa day. I probably spent 30 minutes in the shower enjoying the different water pressures and massaging benefits of the water hitting my body. One day, I can only hope to have a shower just like it in my own home – it is AWESOME! After my long shower, I used the facilities to blow dry my hair and get ready to enjoy the rest of the day. The change rooms are very comfortable and relaxing and offer all the products/tools you would need to get ready after a day at the spa. Looks like a lovely day at the spa!